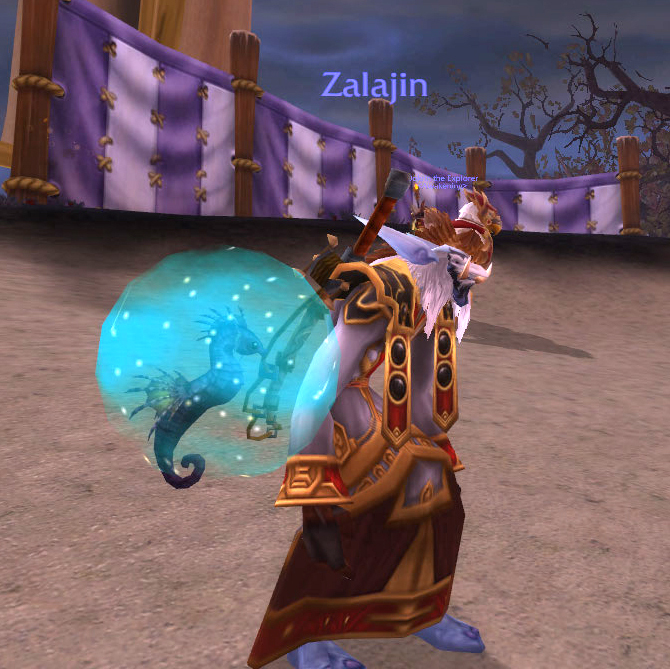 PTR 4.3: Smacking Hogger, Finding Field Guides, and Ghostcrawler’s Pony! 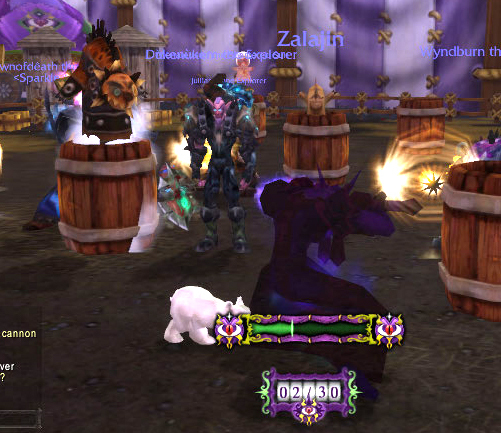 Last night the Darkmoon Fair pitched it’s tents for the first time on the PTR and I jumped in head first. Here is what I saw as well as my first impressions. 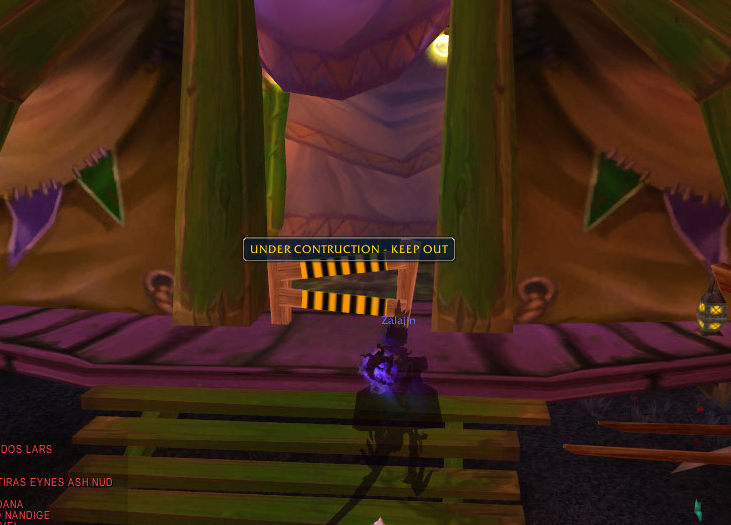 You can pick up the entry quest from the Darkmoon Faire Barker in your capitol city. He wanders, so you’ll have to look for him. Then go to the rep who will teleport you to the staging area for 30 silver. 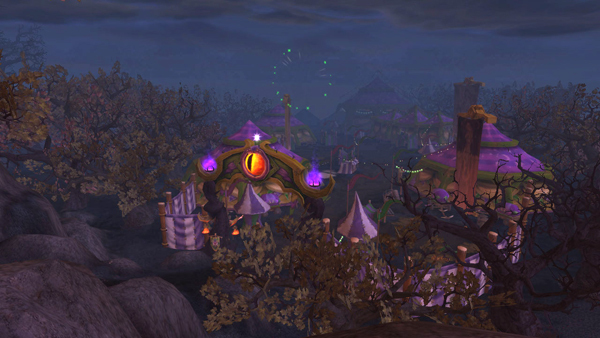 Once you arrive in the staging area, outside Thunder Bluff for Horde, and Goldshire for Alliance, you can take the portal to Darkmoon Faire Island. Once there you ride down a scenic hill to where the fair is located. It has a Harry Potter look and feel. The music reminds me of Harry Potter also. 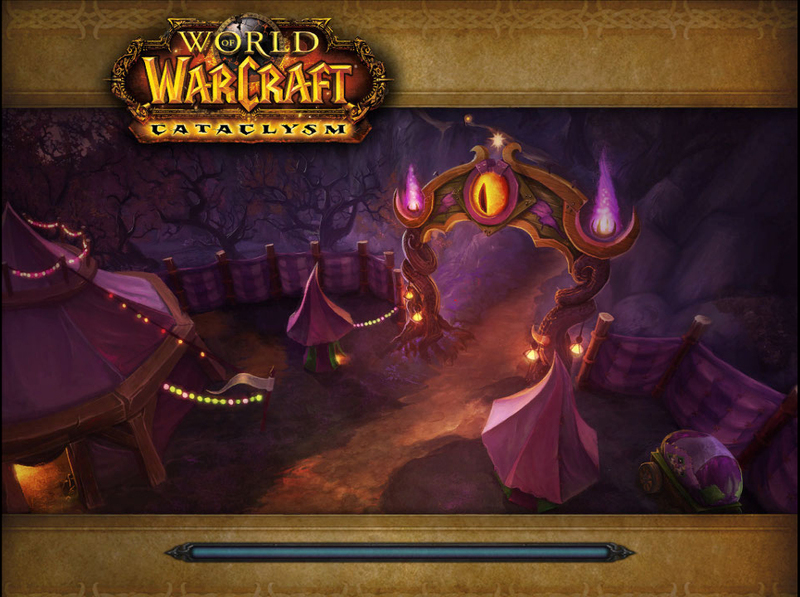 Wowhead has a really good guide that will tell you where everything is located. There are weekly quests for each profession that will give you a +5 skill up for that profession. I haven’t done all of them yet but the ones that I did were extremely easy. Some require some minimal reagents. Inscription requires 5 sheets of light parchment and cooking requires 5 simple flour. The archaeology quest sends you out to bring back 15 fossil fragments. I went to Un’goro to get these and it looks like the drop rate for those fragments has been increased. I was getting 9 fragments per survey instead of 6. This is a really good way to skill up. You can only do it once during fair week. When you do 6 of the profession quests you get an achievement. 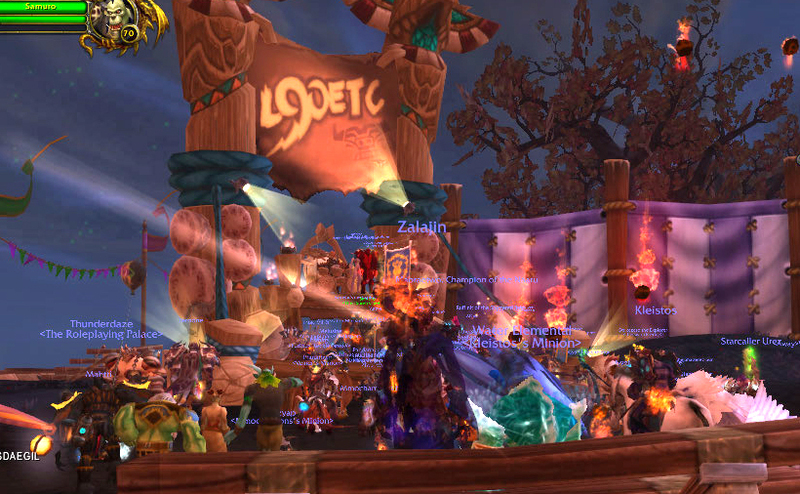 Lots and Lots of Vendors! 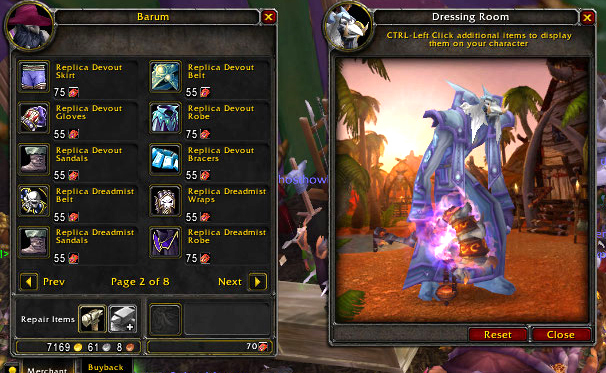 The replica armor vendor is there now too. Devout in Purple?! I'll stick to the old red/gold. 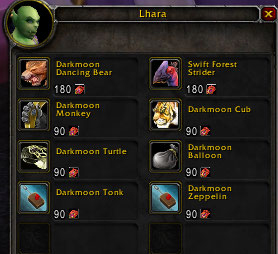 And you can buy heirlooms with tickets now. There are a lot of other vendors there too. Food, pets, mounts, etc. Fishing off the coast, in pools, will catch you some interesting and sometimes valuable rewards. 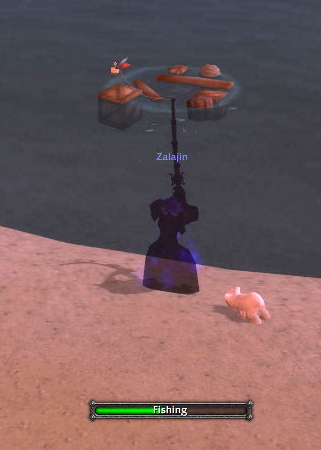 UPDATE: El’s Anglin is reporting a Sea Pony pet that is catchable in Darkmoon Faire Island waters! CONFIRMED: I caught one after about 50 casts. I’m sure the drop rate will change before it goes live. Each of the daily quests are there to let you win tickets that you can later use to buy things. Like a regular carnival you buy tokens and give them up to play the games. It usually takes more than one ticket to complete the daily quest. Right now the shooting game is really difficult because there are SOOOO many people trying to do it at once. In Wack-A-Gnoll you get THREE points for clobbering Hogger! The tonk battle was fun but required a lot of tickets because when you’re shot you need to get a new tonk. This quest requires you to bring back 250 Grisly Trophies from killing mobs that would get you XP or reputation. You need to have a Darkmoon Field Guide in your possession in order to get the grisly trophies. 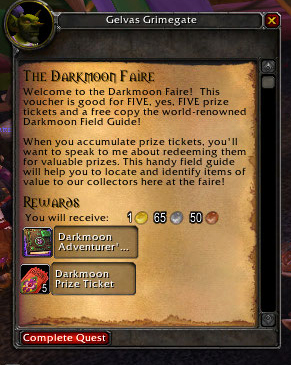 You get the field guide by completing the introduction to the Darkmoon Faire quest that you pick up in your capitol city, or you can just pick one up from the “Greeter” as you enter the fair grounds. She’s on the left as you go through the entryway. I did the “End Time” dungeon last night and only got FIVE Grisly Trophies. So, if that is the drop rate, this quest may be one that takes a long time to get. I’m sure that some people can complete it in a week. But I think most people will pick it up and then turn it in when the fair returns in a month. UPDATE: I did the Molten Front dailies and picked up 41 more trophies. So this is very doable over a week’s time. Especially if you’re grinding rep. 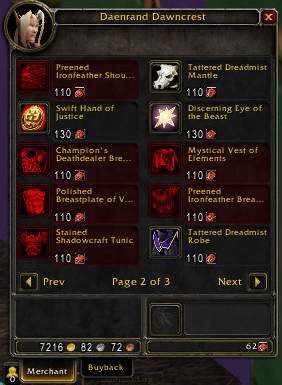 I expect Dragonmaw and Therazane dailies will get you a bunch as well. L90ETC performs at the top of the hour. As you can see, there was quite a crowd! There are three tents that are marked “Under Construction” that you can’t get in. I wonder what this will become? Ghostcrawler Gave Me a Pony! Ghostcrawler finally delivers....or does he? Lots of bones in there!